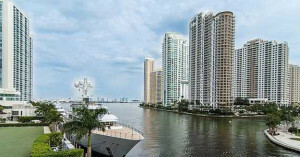 Vizcayne is an exclusive skyscraper located along the beautiful shore of Biscayne Bay. European architectural style and innovative design give this high-rise tower a very exquisite fresh look. Complex features a spacious 1,500 sq. ft. sun terrace for outdoor activities, where residents can lay back with an icy cold cocktail and relax after a busy day. 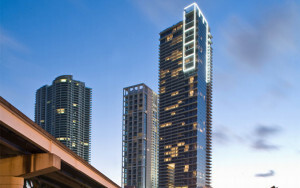 One Miami comprises two luxurious adjacent skyscrapers in Downtown Miami, emphasizing the high social status of its residents. Territory of the condominium is beautifully landscaped and boasts original architectural design. All residences feature spectacular views of the city and waters of the Bay. 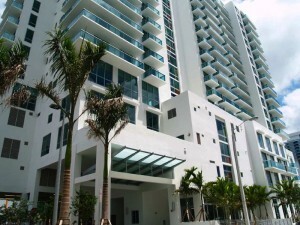 Met 1 is a luxurious ultra-modern high-rise tower situated on the Miami River. 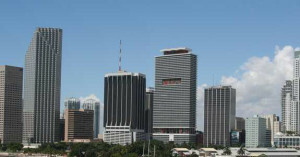 This skyscraper was built in the “L” shape, allowing residents to admire the rifts of the river from the south, and enjoy the marvelous Biscayne Bay from the east. There are marinas and a parking area on the premises with around-the-clock security. 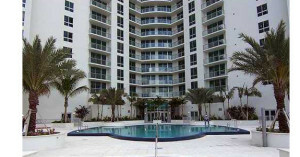 Marquis is a luxurious 67-floor high-rise tower located in the Down Town district of Miami. It features breathtaking panoramic views of the city skyline, natural landscapes and the ocean. The complex has contemporary cutting-edge design and exquisite interior decor. Epic is a luxurious high-rise tower with spectacular views of the Biscayne Gulf, situated in the very heart of Miami, just moments away from the world-famous South Beach Miami. There is a marina for boats and yachts right next to the complex. 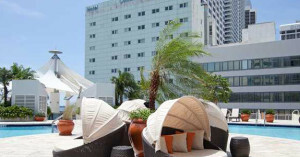 50 Biscayne is an exclusive multi-floor residential estate with luxurious condos, located at Biscayne Avenue near to the Bayfront Park, in the epicenter of Downtown Miami. The complex boasts an original contemporary design, large glass glazed balconies with spectacular views of the Atlantic Ocean and the city skyline. 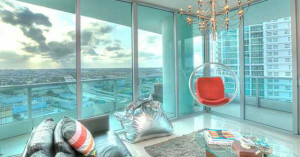 900 Biscayne is an exclusive skyscraper that features the most breathtaking views of the city skyline. The building has unique architectural style and original interior design.